In 2008 TTN inaugurated a prize for young tax professionals. This prize will be given on an annual basis. The prize is intended to encourage young tax professionals to take an academic interest in taxation and to give them an opportunity to make their ideas known to a wider audience. It is also intended to encourage individuals to write in a way that can be understood by a non-professional. The prize consists of a fully paid trip to the annual TTN conference, a cheque, a subscription to the associate membership for one year and a trophy. 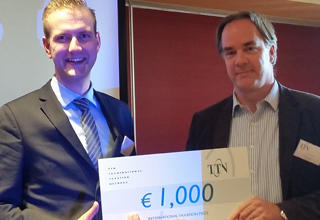 Transnational Taxation Network (TTN) is pleased to announce the 2016 TTN International Taxation Prize, for an article on international taxation written by an individual under the age of 35. A prize of EUR 2,500 is offered for the winning entry and EUR 1,000 for second place. The best two entries will have their attendance at the next TTN Conference in Lisbon paid for. Download here the full details of the prize. 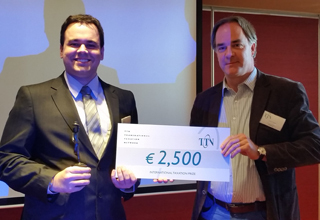 This year’s winner was Lucas de Lima Carvalho who received a prize of EUR 2,500 for his winning entry. His paper is reproduced below. Second finalist was Erik Herkströter who received a prize of EUR 1,000 for the second place.